We have a problem in our house. (A problem I take 90% of the responsiblity for.) Phones never get put back on the charger — never. We have three phones in the house, and it is not unusual to find all three bases empty when the phone rings. Ring, there goes mom looking for the phone. Ring, next room. Ring, not here either. Silence, missed the call – again. Friends, tell me I am not alone in this problem! Vtech recently sent me a new Vtech CS6859 cordless telephone to test, and my favorite feature of this phone is that it solves my ultimate problem. The base (which I can’t wander off with) also serves are a corded phone with a full dial pad, speaker and all the features found on the handset – tethered to the wall. No more missed calls because I can’t find a handset! I can even make calls from the base. Digital Answering System – No need for a separate answering machine, with up to 14 minutes of recording time, the digital answering system grabs calls when you can’t. Caller ID/Call Waiting – Keep track of who’s calling with Caller ID/Call Waiting by storing up to 50 calls. Handset displays the name, number, time and date of incoming calls. Backlit cordless handset keypad and display – The entire keypad illuminates along with the LCD screen, allowing for easier viewing in dim light. Full Duplex Handset and Base Speakerphones – Enjoy a speakerphone that can keep up with your calls. Increase participation by allowing both ends to speak, and be heard, at the same time for conversations that are more true to life. ECO Mode power-conserving technology – Power-conserving technology manages consumption for optimal battery performance – yeay! Quiet Mode – Silence the ringer on the handset and base unit immediately or for an extended period of time (hello nap time). I am fan of Vtech phones, in fact, this is the third Vtech phone system we have had. Many of the features on the new phone are things I already enjoyed on my old Vtech phone like the backlit keypad (awesome for dialing in the dark) and the caller ID — I just didn’t have the awesome base. One of the things I really like about Vtech phones is the feel of the handset. They are build solid and are as comfortable cradled between your shoulder and your ear (when hands are not an option) as they are in your hands. Another great feature about the Vtech CS6859 cordless telephone is that you can expand the system to accommodate up to five handsets. This means that only the main base needs to actually be plugged into a phone line. The other bases can be spread throughout the house anywhere there is power. 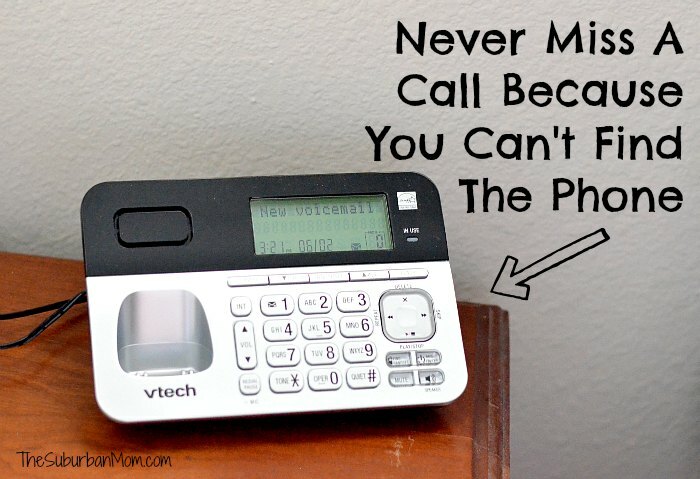 While I wasn’t able to test this feature with the Vtech CS6859 cordless telephone because I was only sent a single handset, I am certain that it works as easily and effectively as my old Vtech phone. It allows for complete flexibility because now you can have a handset in any room in the house regardless of where the phone jack is. 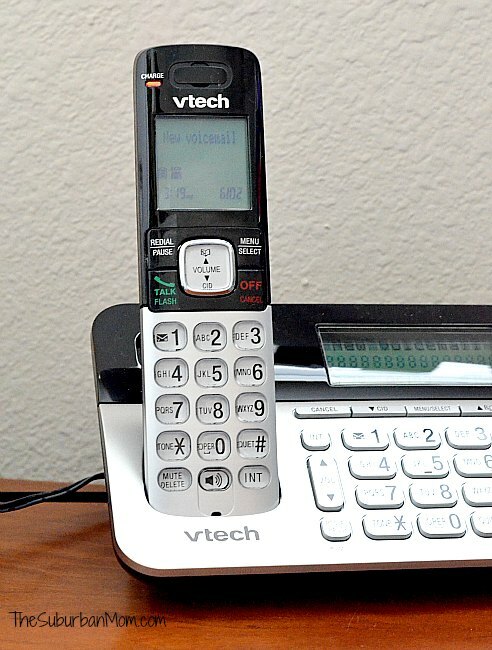 The Vtech CS6859 cordless telephone is available in a single handset unit, a two-hand set system or four-handset system. This post is brought to you by Vtech, however, all thoughts and opinions are my own. Originally published on 2013-06-22 by Jen at The Suburban Mom .